We've seen quite some emails quoting the article BU-808: How to Prolong Lithium-based Batteries. This article has a few issues that we'll explain below. Depth of discharge is a useless measure, cycling between 0% and 50% is not the same as cycling between 50% and 100%. Lithium ion is ONLY dependent on end of charge voltage. 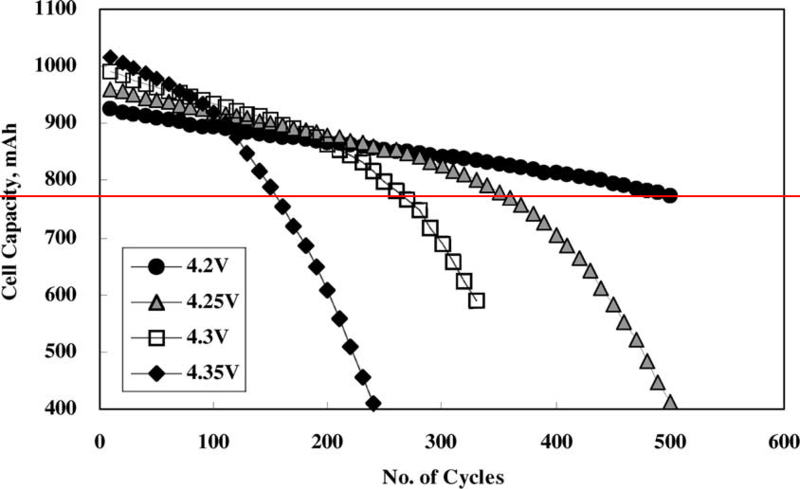 Batteries designed to handle 4.3V have twice the cycle life when charged to only 4.2V. The BU-808 article quotes this as well in Table 4: "Every 0.10V drop below 4.20V/cell doubles the cycle", but doesn't quote where the data is from. Discharge depth has zero effect on battery life time. Figure 1: end of charge voltage vs cycle life. Lower = better. Modern smartphone battery controllers charge to 4.3V (Samsung S6), 4.35V (S7) or 4.4V (LG G4). Figure 2: end of discharge voltage vs cycle life. All the lines are parallel, so it doesn't matter how low you discharge your phone to, it loses capacity at the same rate. 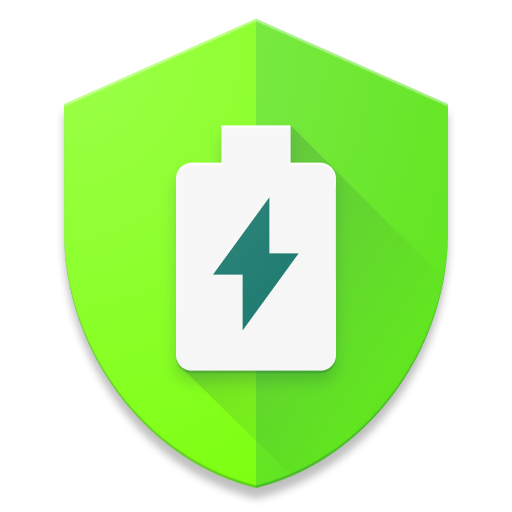 Most battery controllers show 0% and shutdown the phone at 3.4-3.5V while the Lithium based batteries can handle discharges down to 2.75V, but not quick enough to power a modern smartphone which can require up to 2W of power. The lower your discharge, the more power you can get out of a single cycle (discharge to 2.75V has the most mAh in the graph below). From the data we have seen, you should discharge to 0% and charge up to 70-90%, depending on how much usage time you need between charges. Do NOT misinterpret the depth of discharge table's "20%" as cycling between 80% and 100%, that will kill your battery quickly. Issue 2: "avoid full discharges and charge the battery more often between uses"
As already seen in Choi 2002, the end of discharge voltage or level has zero effect on wear. Don't charge before you run out of power, it's fine to let it drop to zero. Papers researching charge speed vs wear do it with 1C to 2C, where effect is seen starting at 1.5C speed. None of the chargers on the market can handle more than 1C, or zero to 100% in less than 60 minutes, and as long as one charge takes one hour, you're fine. Don't be silly and use an PC USB port or slower charger, it won't help. With proper sources, you can find the original paper and check if the author of an article made any mistakes interpreting the data. The BU-808 article quotes no sources except for a single "Choi et al. (2002)" mention, which can't be googled this way, but our 4 sources at the end of the research and methodology page can. If you disagree or think the original research is wrong, with sources, we can have a proper discussion about facts. Without sources, that's impossible. Where did the data come from? The 0.1V and temperature claim is probably from Asakura 2003, which concludes: "The backup characteristics of lithium-ion batteries were investigated using commercial prismatic lithium-ion cells with a LiCoO2/graphite cell system. An accelerated method of estimating the lifetime of lithium-ion batteries was developed. It was found that higher temperatures and voltages accelerate the degradation of the cells: a 15.8C increase in temperature cuts the cell life in half, and about 0.1 V increase in charging voltage also cut the cell life in half." The other claims are probably from Choi's research, it's too extensive to summarize in a single sentence, see our research page. The depth of discharge table source? No idea. Scientists don't cite depth of discharge as start and end voltages are extremely important, but we've seen it older papers when this wasn't widely known yet (think pre-2000). One other curious fact was "the optimal charge voltage is 3.92V/cell", if someone can find a source for this, I would be grateful. 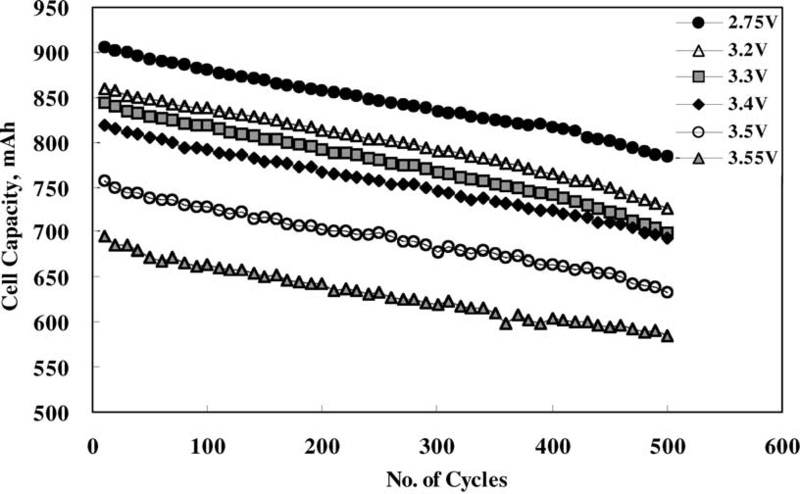 It does seem like that the 0.1V doubles cycle life ends around that point, below that, there's a different chemical / mechanical wear process, but none of the papers I've seen contain the 3.92V magic number. Our conclusion is that while Battery University's article is mostly correct and easy to read, parts of it is very easy to misinterpret, misleading or incorrect, and it lacks sources that enables us to verify the facts cited in the article. We're confident that our suggestion to cycle between 0% and 80% by default is a good trade off between run time and long term battery health.